The proceeding started with recitation of Holy Quran& prayers by Mr. Ather N. Siddiqui. CONFIRMATION OF MINUTES OF 1ST BOG’S AND OFFICERS MEETING. Engr. Taj M. Rizvi started the meeting by thanking all the participant of the meeting. Engr. 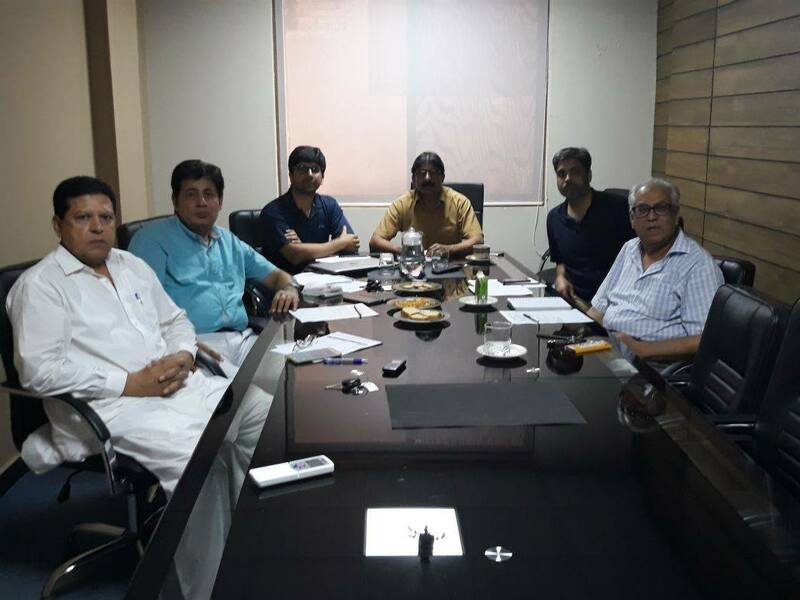 Taj M. Rizvi discussed 13th Annual Installation Ceremony in detail and requested all the participants for suggestions to improve this event in future. Mr. Ahmad Nawaz added that overall ceremony was fantastic but from the last few years families are not participating in installation ceremonies we need to look in to this matter and arrange some get together. The worthy house appreciated. Engr. Taj Muhammad Rizvi informed that every officers has his own duties all duties are given in the ASHRAE’s Website but unfortunately we are not aware of that. In my tenure I will make 1 presentation about “how to read ASHRAE website and chapter operations” before next meeting I will try to make the job done. The worthy house appreciated the idea. He further added that we have to make a schedule for upcoming meetings. After discussion it was decided that in 3rd week of every Month monthly chapter meetings will be conducted. Engr. Taj Muhammad Rizvi informed that CRC is being held in Sharm El Sheikh EGYPT in September 2017. We should participate in CRC to represent Pakistan. August 10, 2017 will be last date to apply for CRC-17 through early bird program/Package. He further asked officer who are participating this year CRC. Mr. Ather N. Siddiqui added that MRB and I already confirmed their registration. The worthy house appreciated. Engr. Taj Muhammad Rizvi informed That our Signatories are changed. Now we don’t have to worry about bank &FBR. ANY OTHER ITEM WITH CONSENT OFTHE CHAIR. Mr. Ahmad Nawaz & Mr. Fahim A. Khan will arrange a Family get together after Eid as a Eid Milan Party. Engr. Taj Muhammad Rizvi Informed that Mr. Nadeem Zuberi will attend Membership promotion Chair training in Singapore. Mr. Fahim A. Khan informed that The conference in HVACR Expo is arranged by ASHRAE Chapters. Now this year we have to arrange conference in HVACR Expo. He further suggested that we have to contact SMEP, REAP, & other societies about conference, because we have seen most of the time the attendance in a conference was very short. We have to figure out this. In this regards, Engr. Taj M. Rizvi and I attended the meeting with SMEP. The response was positive. The worthy house appreciated the idea.